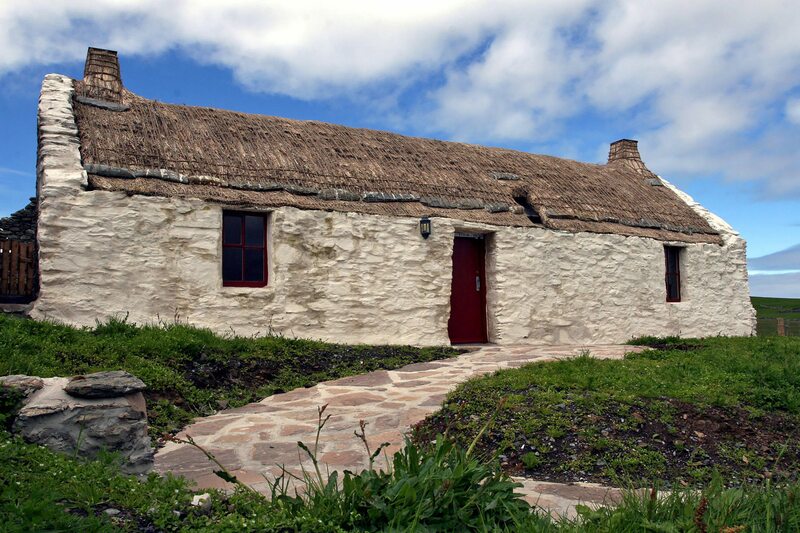 he thatching, on these islands, follows a Highland tradition, sharing many characteristics with Orkney and the very north of Scotland. Hipped roofs are rare; stone gables or skews, being more wind resistant and more common. The local flagstone is used extensively, both here and further south. Forming a waterproof top, to the gable and eaves walls, on which the thatch sits. 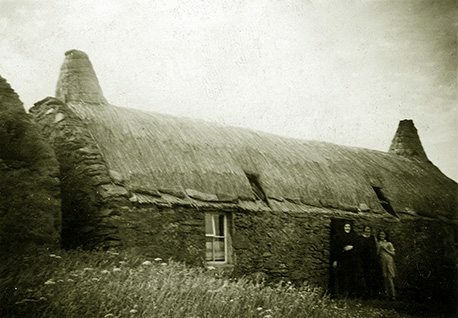 Old Shetland crofts, above and below… A move, from thatched lums to masonry chimneys, seems to have been one of the few changes, in the thatching hereabouts. Everything else, in the craft, being very consistent, throughout the islands. The external links or ropes, were made of heather, with wire netting taking over, in the 1930’s. The linksten or stones, that weigh the ropes, were made of the abundant flagstone. 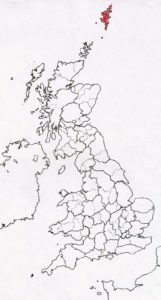 These were sometimes roughly shaped, and are occasionally discovered; when Norse sites are excavated. 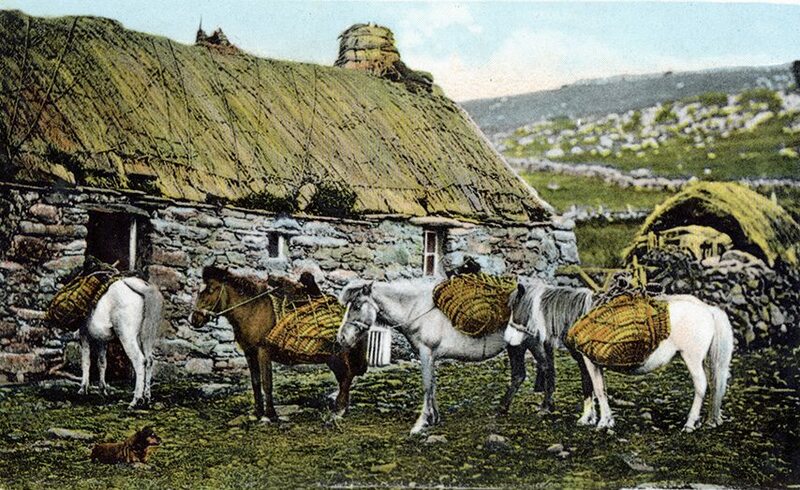 Showing a long tradition, of this type of thatching, on Shetland. 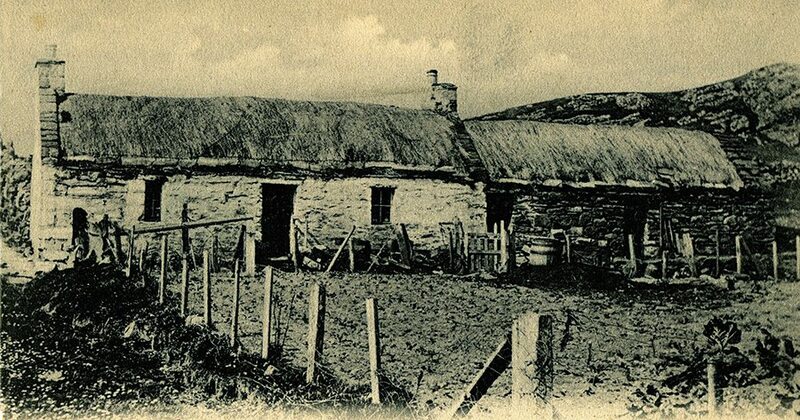 Long before and after… At East House Croft, on West Burra. This old home has now found a new role, as a community centre. Helping to keep the craft alive here. Photos; courtesy Burra History Group.